With E3 coming to a close on June 12, 2014, gamers finally have time to sit back, catch their breath, and take in all the information that this year’s expo has bestowed upon them. 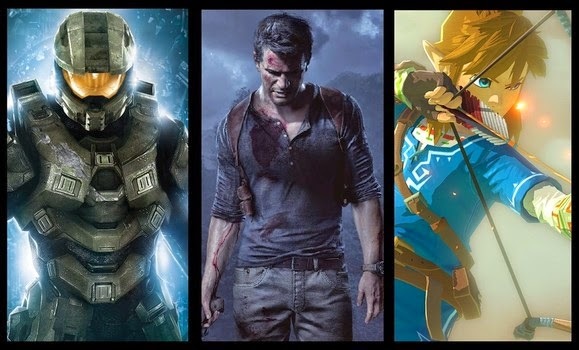 From trailers to new tech, to gameplay demos and reveals, this year was another information-packed year, all kicked off again by the “Big 3” – Microsoft, Sony, and Nintendo. Every year, each of the big console developers take turns attempting to convince the gaming community at large why their console is the console of choice. As such, so now begins the debate to see who conquered this year’s big event. How did each company fair? Let’s take a quick look at each of the Big 3 and see if they had what it takes to win over this year’s E3. The first to take the stage, Microsoft’s presentation was strictly about the games; a far cry from last year’s keynote which focused heavily on tech and multimedia features rather than gaming. It almost seemed apologetic as Microsoft ensured their presentation stayed game-centric by announcing non-game news weeks prior to E3 including new apps, the removal of pay-wall restrictions for apps, and a new “Kinect-less” Xbox One console bundle. First gameplay footage of Call of Duty: Advanced Warfare was revealed. Sunset Overdrive was demoed live on stage. Halo 5: Guardians and Halo: The Master Chief Collection were announced. Rise of the Tomb Raider was announced. The Division was demoed live on stage along with Xbox One exclusive e content and a Holiday 2015 release window. While Microsoft absolutely delivered on their games-only presentation, the lack of any real “growth” news may have been a fault. Having just one piece of non-game related news in their presentation – such as the new console bundle – would have positioned Microsoft in a far more progressive position as opposed to a company having to take a step back to do a bit of damage control. Regardless, Microsoft delivered a solid presentation that successfully reminded gamers that the Xbox One – and Microsoft – is all about the games. Next on deck was Sony’s press conference, which stuck to the more typical presentation: showing off games, tech-talk and new features, and bookending the presentation with more games. Throughout their presentation, Sony revealed numerous exclusives – both console exclusive titles and in-game extras for titles not console exclusive – in a bid to maintain the widely accepted dominance bestowed upon them since 2013’s E3. A white Playstation 4/Destiny bundle will launch September 9, with a beta for Destiny coming July 17. LittleBigPlanet 3 was officially revealed. Bloodborne, the spiritual successor to Demon’s Souls, was announced with a trailer. Playstation Now will begin an open Beta starting July 31 for the PS4, with PS3 and Vita coming soon. A new trailer for Metal Gear Solid V: The Phantom Pain was revealed. Sony’s presentation was filled with confidence, even taking an aggressive posture at times with open pokes and jabs at the competition. With so many console exclusive benefits and games, Sony clearly wants to maintain their position as leader in the console wars. Bottom line: Sony delivered an excellent presentation that reminded gamers of Sony’s commitment to bringing great games and features to their platform while still moving forward in the industry, paving the way for another great for the Playstation platform. Once again forgoing a live presentation, Nintendo took to the virtual stage with a “Digital Event” to deliver the last press conference of the “Big 3”. Short and concise, with surprise animations from Stoopid Buddy Stoodios (Robot Chicken) and Shaft (Monogatari), Nintendo’s press event was quirky, humorous, and undeniably charming as Nintendo did what they do best – be Nintendo. While most of their news came during the presentation, several other announcements were made throughout the duration of E3, including a new Star Fox game. Mii’s were introduced as the newest fighter for Super Smash Bros. for both the Wii U and 3DS versions. Nintendo unveiled their own version of Skylanders toys, called Amiibo. A new, open-world Legend of Zelda game was teased. Bayonetta 2 received a new trailer, along with a box art reveal, an October 2014 release window, and will include the first Bayonetta. Mario Maker was announced for the Wii U with a 2015 release window. Given the Wii U’s lackluster sales since its release, it’s surprising to see Nintendo’s almost “devil-may-care” approach to their presentation. Essentially dismissing the competition, Nintendo proceeded to focus on fun, which is refreshing. Still, it would have been nice to see Nintendo revisit a shelved franchise or two, such as Metroid title, or announce a new IP. A missed opportunity perhaps, but Nintendo had several great announcements during and after their keynote, showing that Nintendo still has a lot to offer. After all is said and done, now comes time to declare a winner. While the victor may be a matter of opinion for many gamers, ultimately it will be decided by sales. Since E3 2013, Sony has proven to be last year’s victor with the launch of the Playstation 4, having sold more than 7 million units, while both the Xbox One and the Wii U are trailing behind. To claim a true winner for E3 2014, for now at least, may be a bit premature until we see how sales progress throughout the remainder of the year. However, as mentioned, everyone will have their opinion as to who they think dominated E3 2014. Which begs the question: who do you think won this year’s E3? Be sure to check out each of major presentations above or follow the links below and leave your thoughts in the comments section.